Exactly a year after I first reviewed ROOK it has come out in paperback, so I’m reposting my original piece on a book that I really enjoyed. Nora would like to ask her father if what drew him to archaeology was his preoccupation with time, and whether it is from him that she inherited her own strong and natural sense of rhythm, her body’s instinctive feel for time. She’d like to talk to him about the way the passing of time changes what we once believed to be truth or fact into something previously unknown. A rhythm will take away, will, like the tide recede as well as return, and loss is a feature of ROOK. Rook has lost something for all that he gains in Nora’s care, Nora and her mother each have their own losses to face or retreat from, and the long-dead Edyth Swan-Neck’s loss is apparent from the opening pages set in the aftermath of a certain well-known battle. Her presence in Bosham is symbolised by the swans which glide through the water and across the borders of the Bayeux tapestry. Writing in the continuous present Rusbridge emphasises both the sheer immediacy of experience and the penetration of memory and the distant past. At times she approaches the visionary as characters slip into the past mid-thought, mid-action, without it being obvious where the divide came. Likewise certain thoughts take the shape of natural and material phenomena and things, as with Ada’s shifting water-way of a mind. Rusbridge’s poetic phrasing and symbolic complexity renders the writing incantatory and impressionistic. ‘Slivers of sunlight bounce on ripples blown sideways by the breeze.’ Water takes on a significance reminiscent of Philip Larkin’s Water; that de-churched spirituality which bespeaks a connection with land and history is also echoed – perhaps ironically – in Larkin’s Church Going. Language is vitally important in ROOK as an orientating and connecting tool. Certain words connect us to the quality of a historical awareness. Whilst reading one of her husband’s books Ada savours the ‘Anglo-Saxon words for mud: cledgy; sleech; slommocky. She mouths the sl and bl of them, shaping her tongue and lips around their texture. Stabble means to walk thick mud into the house. She likes the squelch and spread of the word, its peaks and smears.’ Such earthy thickening generates a wonderful atmosphere and occupation of landscape and culture, especially notable in the Saxon elements of the novel. ‘The year was dying: wind and wet leaves, a mist rolling in from the swan-rād.’ And yet, as Rusbridge makes clear, the mystery remains. She has Nora tell Jonny, ‘Motive tells us so much more about character than actions.’ But, of course, it is motive that is so often lost to history, thus generating that tension between the desire to know and its frustration by time’s passing. The connection is in the continuity of landscape, sea, birth, maturation, death: all of which underpin the distinctly jumbled affairs of the inhabitants of Bosham. ROOK’s climax is sharply affecting and reaches deep into the core of the earth and the human life that persists on and then under it. I was very moved by it despite, or perhaps because of, the premonitions and parallels throughout the book. As a thematic and dramatic convergence it is very powerful and well-controlled. I loved the atmosphere and language of ROOK and recommend it wholeheartedly. There is a certain kind of novel which makes one think to oneself ‘Oh, you mentioned that before, but in a different context: how clever.’ And, of course, one’s rather pleased to have noticed it, and words like ‘interwoven’ and ‘controlled’ spring to mind. Whether this says rather more about me than it does about Daisy Hildyard’s debut Hunters in the Snow, I’m not sure. The other thought that tends to run alongside this response is ‘Goodness, haven’t they jotted down a lot of quotations that would look great in a novel.’ Again, this might just be me: I definitely have a tendency to highlight passages that would make great epigraphs. Hildyard addresses this issue rather neatly by prefacing the novel with both an Asterix cartoon and some Laurence Sterne. My grandfather’s name was Thomas James Thompson, but he was known to everyone as Jimmy, and we still called the room in the porch Jimmy’s study, despite the fact that a year had passed since his death. 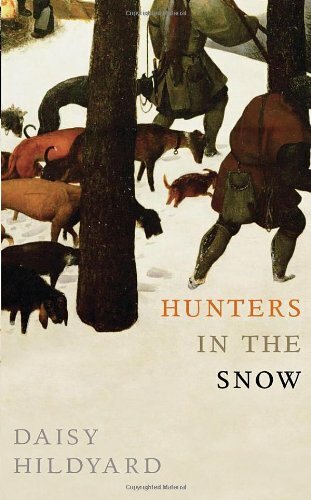 The heart of Hunters in the Snow is the nature of recollection and the shaping of a narrative by the choices of inclusion and omission made by any contemporary observer or supposedly abstracted historian. As she clears out his study, Jimmy’s granddaughter looks through the old historian’s notes and drafts assembled for his final histories: Edward IV, Peter the Great, former slave Olaudah Equiano, Herbert Kitchener. These narratives provide the framework for the nameless granddaughter’s reflections and memories of Jimmy and his many lectures on history and historiography. As one might expect in a novel about the nature of narrative, analysis, and the assembly of sources, the writing, which is always measured and precise, twists in and around itself, ending rather fittingly with portraiture, the loss of detachment, and the relationship between foreground and background in Virginia Woolf. History is not like fiction, in which someone has to hang on every knotted noose. In one sense, Hildyard makes more manifest the submerged structure of a Sebald piece as microscopy, archaeology, memoir, place, and personal narrative flow into one another across the histories. This might mean that the artifice hanging behind, say, The Rings of Saturn or Austerlitz, is more apparent in Hunters in the Snow than it might be; but I don’t think this becomes a problem, because Hildyard’s aims are different from Sebald’s, despite the martialling of historical moments, of convergence and divergence in time that they share. Sebald’s is an interior journey magnified and structured by historical, literary, and geographical experience, whereas Hildyard’s narrator looks to mirror her grandfather’s advice on sifting the accounts and omissions of sources to find the truth beneath in her bid to understand: she turns the historian’s eye onto the historian, but in doing so reveals much about herself by omitting her name, her childhood in the village beyond Jimmy’s farm, her life. In the same year the Oxford English Dictionary credits the translation of the term ‘autobiography’, meaning self/life/writing, into English from Greek. Olaudah Equiano’s autobiography, then, must have been one of the very first of these personal histories. Before that time, writers could only deal in memoirs, which came from the inside of their minds; or accounts, which kept outside of them. They had no particular words for recording themselves, as historians do, over time. Hildyard’s novel is at its most interesting when reflecting on the way in which we can come to know far more about a period than its inhabitants or their immediate descendants, whether that be by scientific analysis or the dynamics which only emerge when one can view decades at a glance. And yet, the manner in which the observer’s eye is guided by the mind is repeatedly emphasised by both the subjects of Jimmy’s histories and the practice of the historian who chose them. He writes of the pioneering microscopist Leeuwenhoek’ whose otherwise outstanding observations are complicated by his certainty that he can see in a single sperm a tiny human waiting to grow. Whether that concluding thought is quite true or whether it follows from von Ranke’s joy in the particular is an interesting question; and it is one which Jimmy seems, in his resistance to the validity of personal experience or the particularity of present experience, to hold in tension with his impulse for abstraction. He always removes himself from the present moment into history; he allows his farm to decay, hates conservation, because in that decay will the passage of time, of history, be made manifest. History, said Jimmy, is quite different from what happened. History is an assemblage, a collage of found objects glued together to create something of some meaning and, we hope, something of value. ‘Leeuwenhoek was the first person to see the sperm cell, but he changed it when he looked at it.’ When Picasso produced the first collages proper in 1912 he knew precisely what he was doing in this assembly. He was taking real things and, in a manner, preserving them by creating something neither wholly new nor old. Or so I’ve chosen to write. Hunters in the Snow is a very assured assemblage held together by the questions of narrative, integration, and preservation which run through it. In language whose precision mirrors the call to the particular whilst holding the universal in mind, Hildyard navigates the twin pitfalls of overgeneralisation and wallowing in the historical very neatly. The external and internal, the observer and the observed, the writer and the written constantly question one another as the snow melts around Jimmy’s frigid study and his granddaughter’s interrogation. In Hildyard’s mingling of the historical and fictional she aptly mirrors the historical method she wants to analyse. The snowy fields of the title through which the hunters move are the pages waiting to be written, hiding life and decay beneath the slush, but from which they were never really separate in the first place. Hunters in the Snow is out now from Jonathan Cape. My thanks to Jonathan Cape for this review copy. Joy was one of the first books I reviewed when I started this blog just over a year ago, and as it’s recently been released in paperback, I thought I would repost my review. 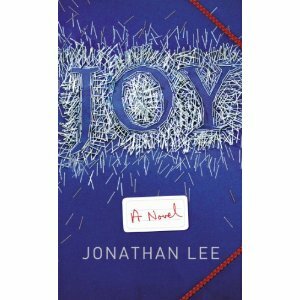 Jonathan Lee’s JOY is a shifty novel. The best novels are. The narrative swirls around the fall of Joy Stephens from a second floor platform to the marble floor of her City law firm. Four people converge on her broken form and, in the relative safety of a counsellor’s borrowed office, begin to converge on Joy in quite a different way, struggling to understand the rationale of apparent self-destruction. Each grasps a small part of her, understanding some aspect of a more complex whole, before being whisked away by contours of thought and preoccupation. Lee occupies each voice near flawlessly: the academic husband, the handsome, obnoxious lawyer, the OCD personal trainer, and the aged and resentful PA. Particularly wonderful are the digressive footnotes of the English lecturer Dennis, forever qualifying statements in a manner I find uncomfortably familiar. The dissembling lawyer’s lewd desperation to impress and seduce recalls the dialogue of Edward St. Aubyn’s fractured individuals; and like St. Aubyn Lee manages to render this desperation amusing and absurd in equal measure. The threat of caricature looms large, but this is slowly stripped away as Lee shifts their speech from public to intimate. Only Joy is permitted an interior monologue, and it is her embodied experience which allows Lee’s lyricism free rein. Throughout her language of thought is intensely sensual as Lee delves beneath the superficiality of her working and married life, contrasting this with the sexual language of those who move and speak around and of her. Sensual and sexual are not the same thing, of course, and this contrast serves to highlight one of the central themes of the novel: the disconnection between speech and thought; or, better, the apparent gulf between how we feel or intuit ourselves to be and the person others get to see – and judge. In the case of mental distress this is particularly clear: as William Styron writes in his memoir of depression Darkness Visible, ‘Depression is a disorder of mood, so mysteriously painful and elusive in the way it becomes known to the self – to the mediating intellect – as to verge close to being beyond description. It thus remains nearly incomprehensible to those who have not experienced it in its extreme mode.’ Lee reclaims such distress for the everyday, situating it in an office whose shallow preoccupations threaten to implode. Such imaginative sympathy is the prerogative of the novelist, for each character is bounded by their own concerns, each, to steal a phrase from JOY itself, recreating people and events according to their own private ambition. The contingency of perception on preoccupation and its coupling with the distortions of memory and motive contributes to narratives of persons and events we rarely question except in extremis. That everyday life can deliver such prompting extremity is masterfully argued here. In a forthcoming book which might be marketed as a companion to Joy the late Peter Goldie considers the ways in which people understand their past and the nature of grief and self-forgiveness. At the heart of Goldie’s account is a narrative sense of self whose instability is evidenced by Lee as each character returns to the counsellor’s office and slowly sheds their simplicity. There are times when JOY threatens to buckle under the weight of its varied voices and their revelations and misunderstandings. Yet it never does, and that tension serves to underline its emergent humanity. This is a generous and intensely human novel which achieves a great lyrical intensity in its exploration of the depth of our ignorance of ourselves and others, the sheer contingency of life where everything is visible but nothing seen, and where two contradictory statements can be equally true of the same person. Goldie’s book is titled The Mess Inside. It is hard to think of a better summation of Lee’s project in JOY. In the collapse of his characters’ narratives Lee has constructed a stunning one of his own.